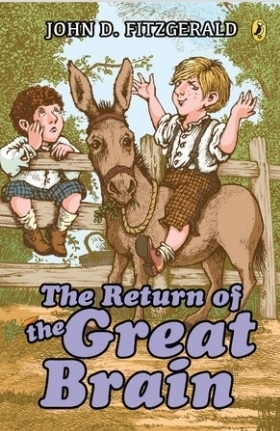 I began reading "The Great Brain" series of books written by John Fitzgerald when I was in elementary school. I really enjoyed the adventures of the ingenious and mischievous 12 year old Tom told from the perspective of his younger brother John. The stories took place during the late 1890's in a small Utah town and I was entertained with all the money making schemes Tom came up with and the pandemonium that resulted when his plans went awry. The schemes were just realistic enough to make me think that I could pull them off myself.